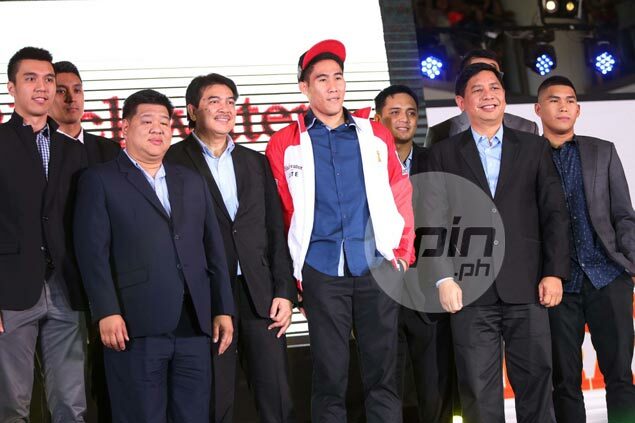 MAC Belo became the biggest asset of Blackwater on Sunday after the former UAAP star was picked the expansion franchise in the special draft involving Gilas cadets at Robinsons Midtown mall in Ermita, Manila. Although selections in the special draft of Gilas cadets were announced alphabetically, there was no doubt the 6-5 Belo was the most coveted player from the pool - someone who can turn around the fortunes of a Blackwater team that has made little inroad in two seasons in the pro league. The special draft, undertaken in an order 'pre-determined' by the board in a meeting on Thursday, yielded little surprises with Kevin Ferrer going to Ginebra and Jio Jalalon joining Star - contrary to reports that the two sister teams had swapped selections ahead of the proceedings. Other choices saw Roger Pogoy going to TNT Katropa, Arnold Van Opstal to SMB, Mike Tolomia to Rain or Shine, Matthew Wright to Phoenix, Fons Gotladera to NLEX, Ed Daquioag to Meralco, Russel Escoto to Mahindra, Von Pessumal to GlobalPort and Carl Bryan Cruz to Alaska. The selections went according to expectations, except for what appeared to be a rigodon of choices among MVP teams: Daquioag, rumored to be picked by NLEx, went to Meralco; Pogoy, supposedly taken by Meralco, went to TNT, while Gotladera, from TNT, went to NLEX.